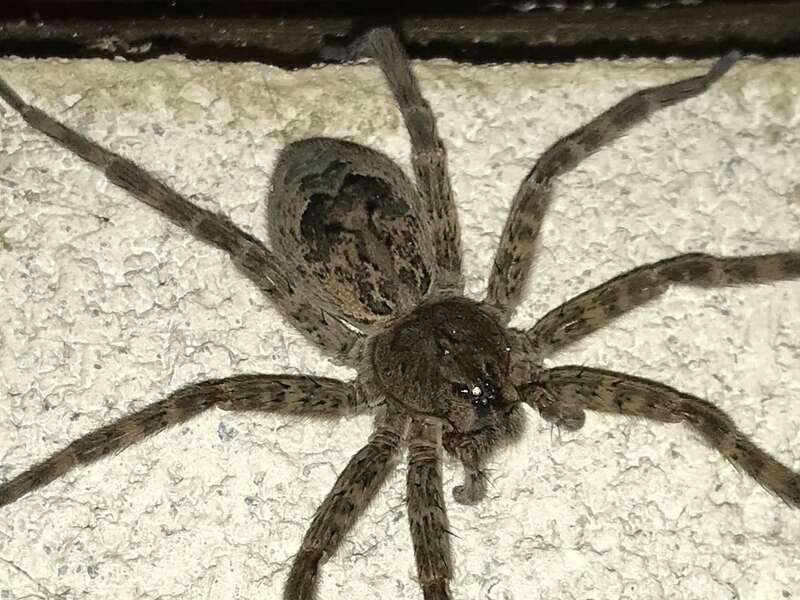 I found this beast at the top of the basement wall. In fact this is the second one. 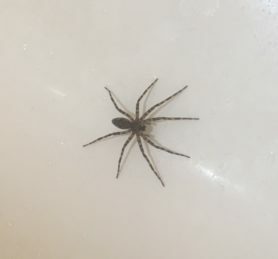 It is 3-4 inches across. 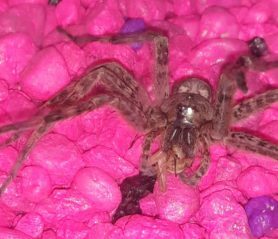 I don't know what it is but my guess is it's a Wolf spider. Should I kill it? The first one I let room free in the finished part of the basement until I found him upstairs the next day. Not cool. This fella is hunting in the unfinished side. Hi. This is one of the nursery web spiders, Dolomedes genus(fishing spiders) Dolomedes tenebrosus species. Their size can intimidate many not used to them, but they are quite harmless and gentle giants, just quick if spooked, not aggressive unless protecting eggs or young. Thanks for the reply. 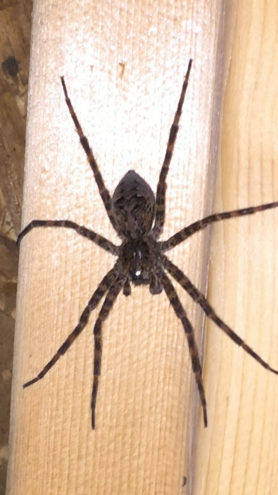 What’s the telltale sign for you that it’s Dolomedes Tenebrosus? Is it the markings? And I can’t tell from my pic but it looks like it has eight eyes? A mix of the dark ‘Hilton’ face pattern and what look like light finger from the bottom of the abdomen. Another very similar is Dolomedes albineus,white banded fishing spider, they have a white band across the face pattern and usually white areas of the carapace, otherwise, much the same spider.